Maps come in many different sizes with a wide variety of possible detail. For example, you can find a simple process diagram on mobile learning on the Web, or a detailed mind map. 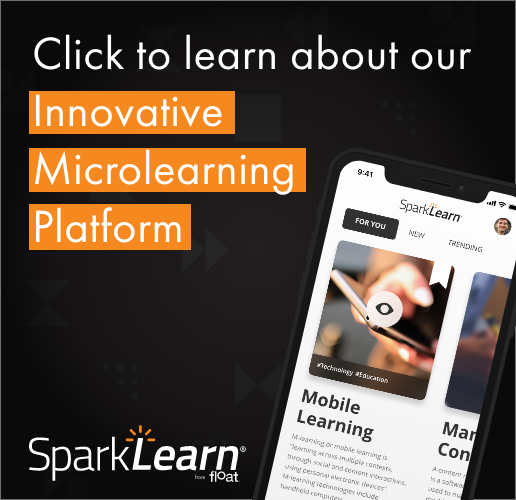 Float Mobile Learning has developed a comprehensive roadmap on mobile learning strategy and implementation, as well as its proprietary S3D process, that we use when working with clients. But, you can also have an atlas that contains many different maps that, joined together, show the whole world. That’s what the Advanced Distributed Learning (ADL) office in the US Department of Defense has produced in conjunction with its supplier, Adayana. Called the Learning Decision Path (MLDP), this nearly 300-page document is a true mobile learning atlas, containing a vast collection of sub-process maps and other resources. Recommendations for mobile learning solutions. Each section contains lots of advice, and tables that contain questions, explanations of the questions, and scores for responses to the questions. The scores are added up to be used later as an aid to decision-making. There are tables for various kinds of media including video, audio, graphics, animations, social learning components, electronic books, mobile games, augmented reality and different types of mobile apps. The MLDP also has a section on applying the decision paths to sample projects, as well as a discussion of future considerations and recommendations. There are references, resources, and more than 50 pages of worksheets. In the end, there is a glossary, and at the beginning, there is a list of acronyms (it comes from the military, after all!). This is truly a comprehensive document. My only quibble with this mobile learning atlas is that it needed a graphic designer to make it more attractive and readable. But, it has too much great information to be ignored.